Waste paper contains in addition to all kinds of heavy impurities, also contains the asphalt type, paraffin wax, grease and all kinds of hot melt glue stick, these hot melt type impurity does not remove easily stuck to the net, felt, roll, or dryer cylinder, reasult in sheet break holes. Therefore, these impurities need to be treated. The structure of disk heat dispersing machine is similar to disc refiner. But the working concentration is much higher, the transmission power is very large, the main working part stator and the rotor and the tooth of the grinding disc is much larger than the grinding disc of the regular grinder. Roller type heat dispersing machine is divided into two rolls and single roll, also called kneading machine. The operating temperature of disc type dispersing machine is 90-130℃, and the kneading machine is below 100℃. The power input of disk heat dispersing machine is higher, which is 50-80kwh/t, while the kneading machine is 30-60kwh/t. The speed difference between the stator and the rotor is four times as high as that of the kneading machine, both of which are 25-35%. 1. In addition to the hot melt and plastic impurities, the dispersion process can also effectively disperse the residual ink particles. 2. The heat dispersion process can also be used to obtain the treatment effect of mild fine grinding to improve the degree and physical strength of the slurry. 3. Dispersion is usually carried out in high concentration (30-35%), high temperature (80-120℃), and the hot dispersing machine is used to vigorously rub the paste. 4. 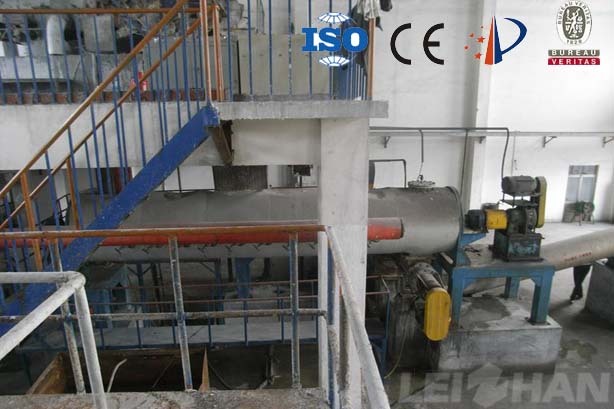 The bleaching process is followed by the thermal dispersing process to add the bleaching chemical to the inlet of the heat dispersing machine, and the function of the mixer can be combined with the full stirring function of the heat dispersing machine.